Good stuff Jesse. I never did quite get how to use the roller but now I see. Also, love the hair cut. Let me know if there is anything more I can help you with. The hair will be staying short for awhile. Thank you for the great blog. I always wanted to know the most effective way to use the roller. Also it now makes sense to me how it works releasing facia. I am a yoga teacher and work with lots of people who have aches and pains. It’s always great to add new tricks to my bag. 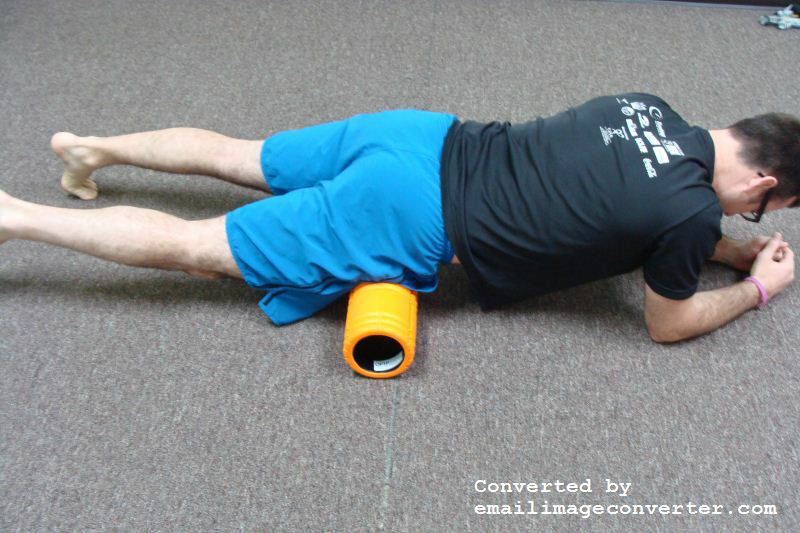 I have a guest post article at Toesalad.com with more on foam roller therapy. It is a little more detailed. It will be sent out in my next newsletter. Thanks so much for your informative articles. I bought a GRID foam roller a few months ago to help deal with intensely tight muscles all over, due to a number of injuries, but have not had great success using it. However, thanks to your articles I now have a much better idea of how to use it successfully! Thanks, I’m glad to hear the articles are helping. Let me know if you have any questions for me. Great to hear Sarah. Come back and let me know how it feels in a couple of weeks. I would like to know your progress also. I will not pry and ask you the extent of you injury, but I really would like to know how long before your body made its adjustment and the “pain” subsided. I have only used the foot massage ball, per se, and I love it. I know there are programs and teachings which focus on stress points in the hands and feet. 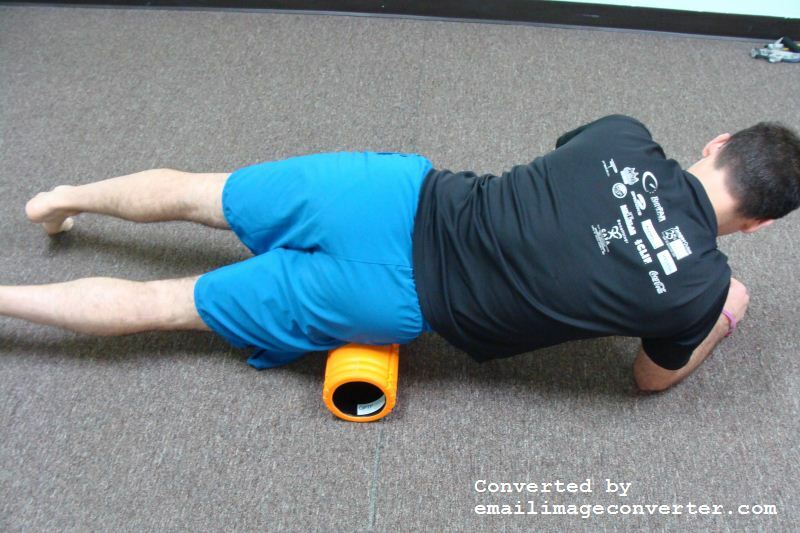 Client results are directly proportional to the level of commitment to using the foam roller. I have clients whose relationship to the roller spans from best friend to dog toy and it definitely shows. A fantastic tool for self maintenance after exercise, for improving muscle health, and between massage, which speeds results and increases the value of the money spent on my services. Keep the great info coming, Jessie! Thanks Lauren for the comments. It is great to hear from other therapists who so strongly advocate for self care exercises such as foam rolling. It is a definite sign of a great therapist. Keep up the great work. I have a question, my son has been accepted on the local high school football team and is not able to complete the training. 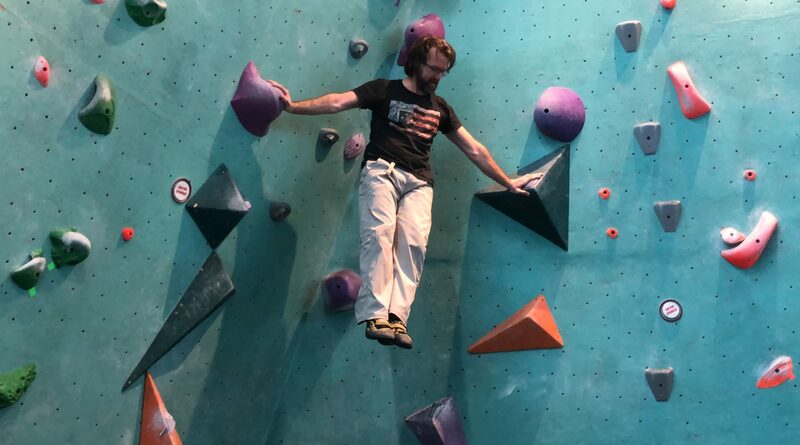 I have been working out for over 20 years and want to aid him in his training. I noticed that he is not very flexible and I am wondering if this would help him? If so would you still recommend the 30-45 minute usage of the roller, thank you for your time and help. I also will be earning my personal fitness trainer certification this year. I have a couple of questions for you in return. How old is your son? Why is he unable to complete the training? 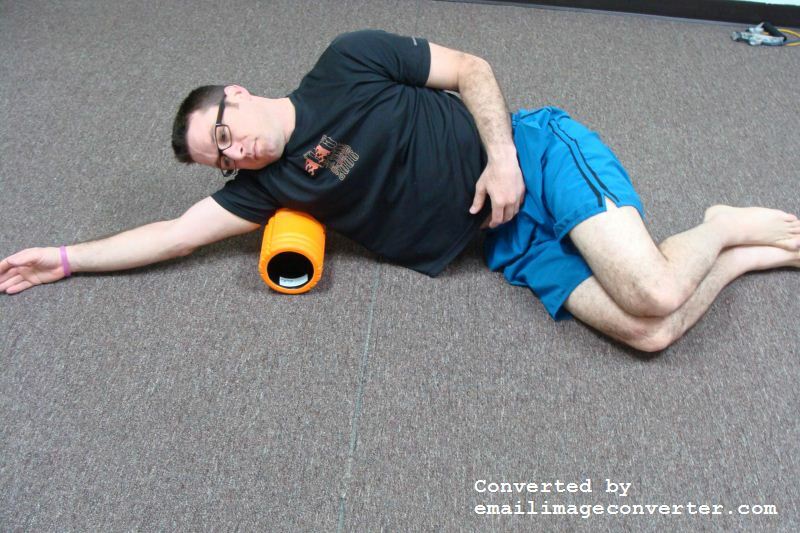 In answer to your question, yes with regular usage, the foam roller will help with flexibility and mobility. Especially if used with a well rounded flexibility and functional movement program. This article explains the beginners series I have most clients start with. I have an intermediate and advanced session that will ultimately aid your son the more. I have worked with a few high school kids with pain and injury issues. It is very difficult to get them to do the work for themselves. I find it crucial that they willingly choose to do the work for themselves. Great info but might I suggest using RACQUETBALLS instead of golf balls. As a professional racquetball player and coach…I use them and give them to my clients. The ball is not as hard and the flexibility of it make it great for pressure (if you want to apply more pressure, simply stand up rather than sitting down while using it on your feet). Thanks for posting…Wellness is easy to do and easy not to do, choose wisely! Thanks for the comment. A racquet ball does sound quite useful. I wouldn’t replace the golf ball completely though. For people with severe pain, I could see a racquet ball being very useful. It would also be great for using around the face and neck. Thanks again. Thanks so much for this informative website. I have had a few of my massage clients tell me they use the foam roller and didn’t actually fully understand what it was and how it could help until I read this blog. It seems like a great way to get clients to do some self-care at home. I may start promoting this. Will definitely be staying in touch with this blog! 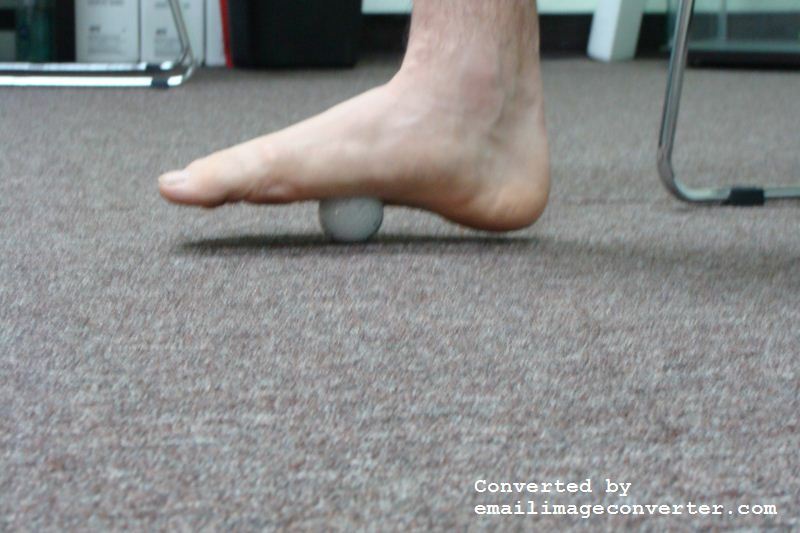 Thank you so much for all your informative articles on barefoot/minimalist running and using the foam roller. I am 51 and have only been running a short time. I see the health benefits but I have also been dealing with various injuries. Because of your articles, I have started over and am using a roller and finding all sorts of sore places. My family thinks I’m nuts going outside to walk barefoot (and I do have to be careful here in the urban jungle) but I really want to be able to run again without the injuries. Thanks again. Thanks for the comments Christine. Remember to be patient and take your time. The path you’re on is for improved movement, not just in the now, but for the rest of your life. If you have any questions or concerns along the way, please feel free to contact me. Yo, thanks. After some time, now I figured out how I can reuse that cardboard tube I kept. I knew it would come in handy. Sounds terrific. 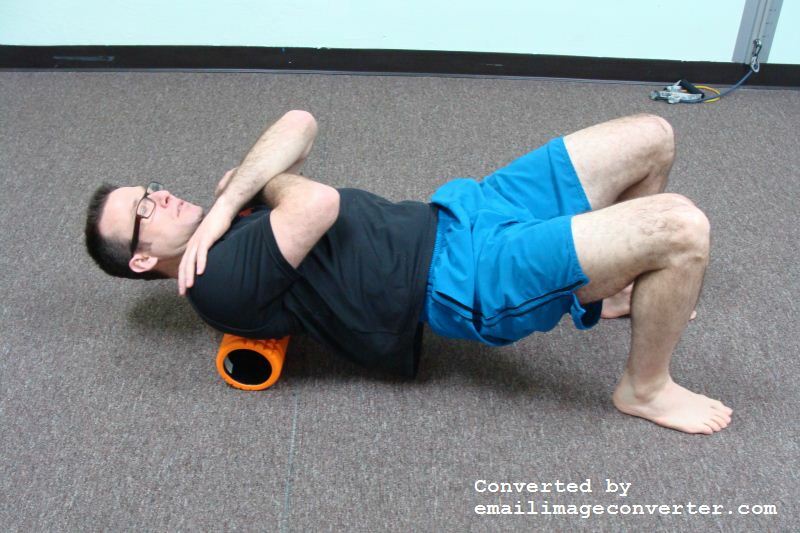 Do you know where a person could get certification to teach Foam Roller Technique?